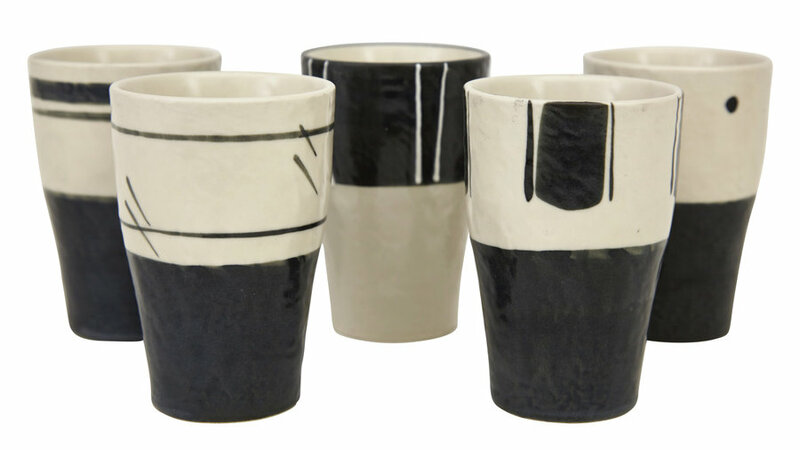 This cup set's design is inspired by traditional Japanese motifs. The size is actually the standard beer size in Japan, but are perfect to use for water, tea, and more in the West. 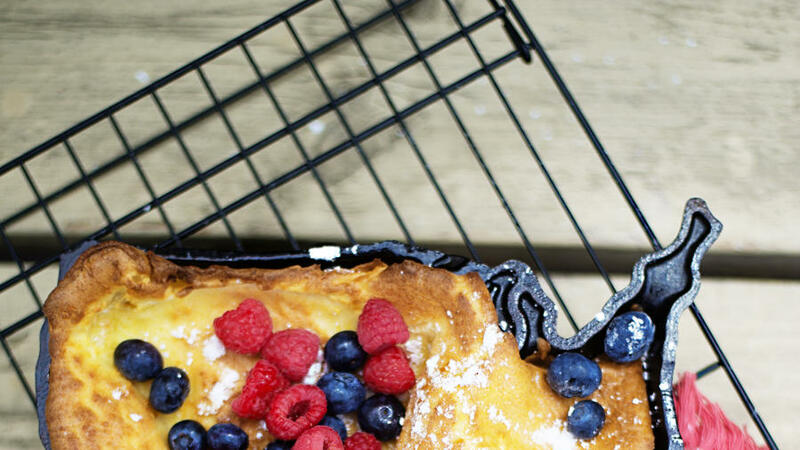 Planning on giving someone breakfast in bed this holiday season? (Or hoping to be the recipient?) 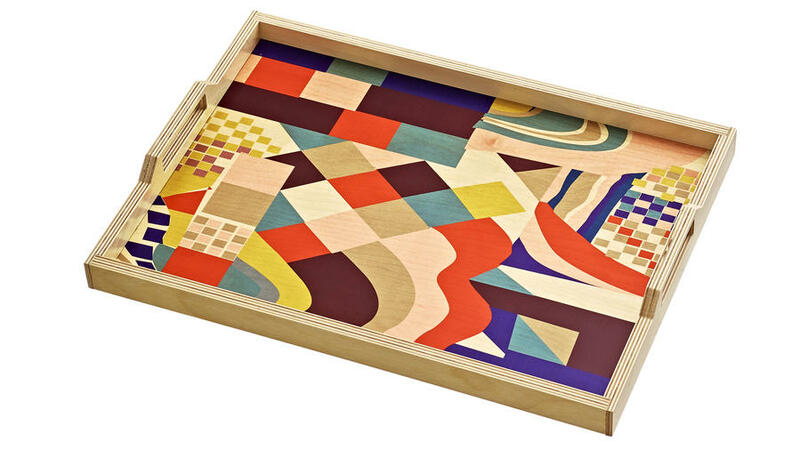 A whimsical birch tray, hand-printed by L.A.-based designer Annabel Inganni, could come in handy, either in delivering the goods—or the hint. 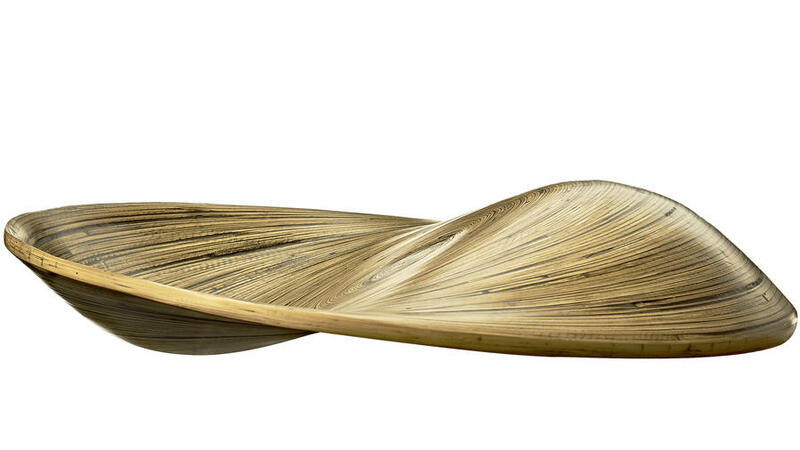 This reversible bowl, handmade in Vietnam, does more than just provide a pretty stage for produce. Buying it helps Shopping for a Change, a Bay Area nonprofit, foster creative talent in developing countries. 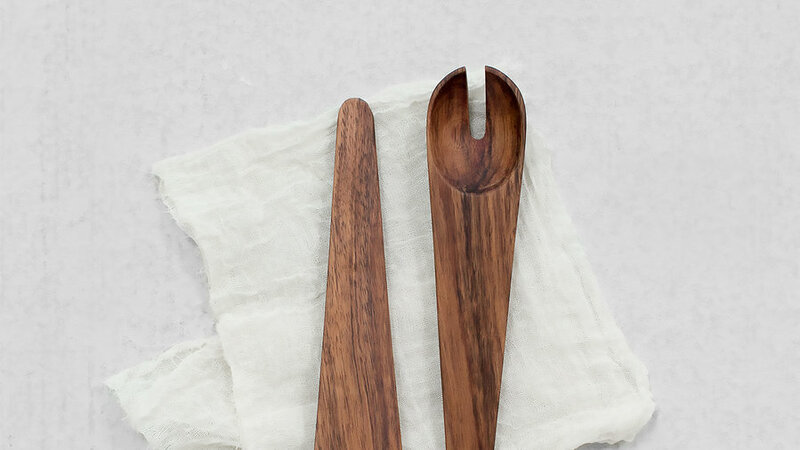 Fair-trade and handmade, these serving spoons make a stylish statement while being simple to use. 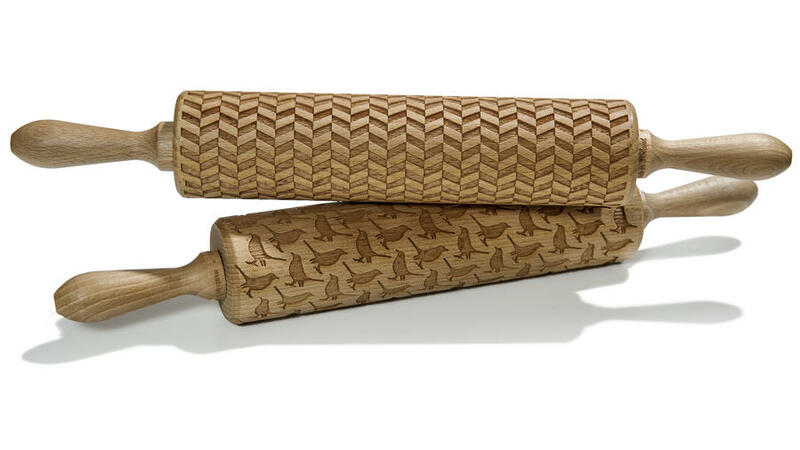 For the baker who wants to put a personal stamp on her pastry or cookies, these laser-engraved rolling pins sold by Northern California Healdsburg Shed are customized with a blackbird, chevron, or circle design. 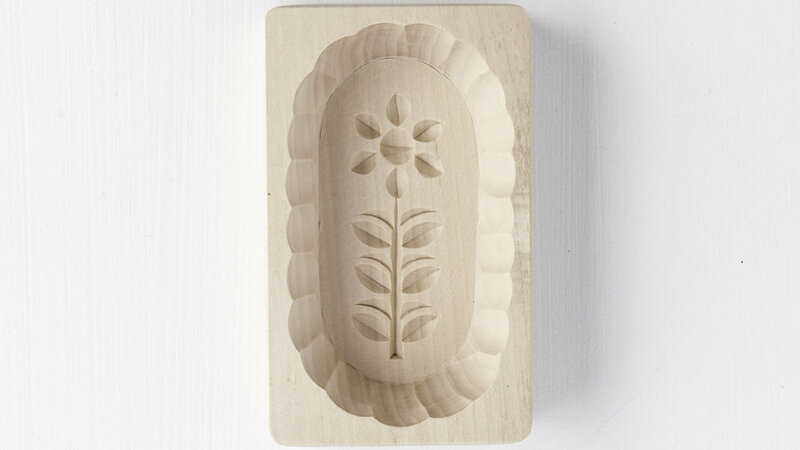 Make butter beautiful with a traditional butter mold, embossing your butter with a cheerful rustic print. 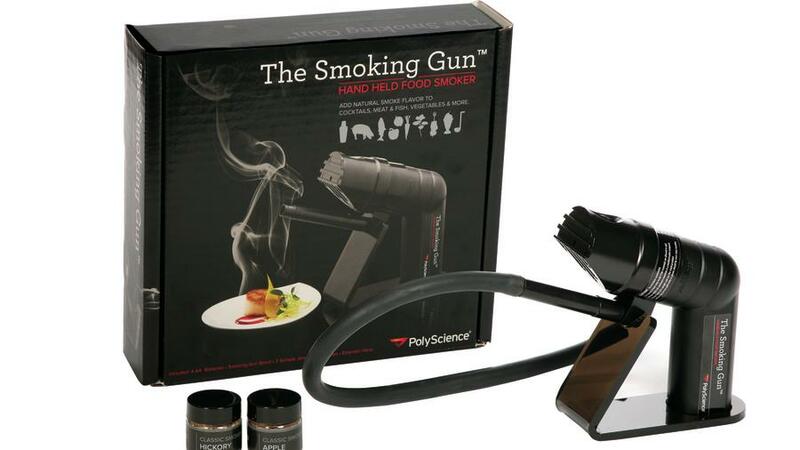 Finish any dish, drink, or sauce with a hint of hickory or applewood using this culinary must-have. You’ve tried that swanky, gold foil–wrapped EVOO. But have you tried bright, bold, green-tasting olio nuovo, or freshly pressed olive oil? This unfiltered finishing oil keeps just a few months—so pour it on bread, braised greens, polenta, you name it. 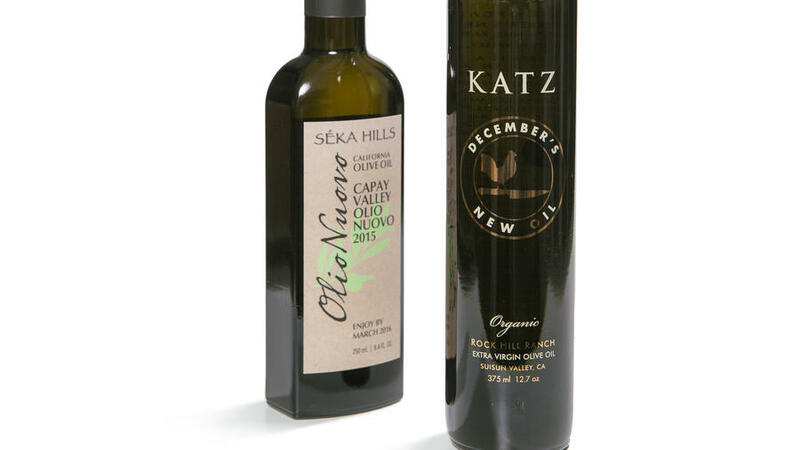 Try intense Katz December Oil ($25/375 ml; katzfarm.com) or milder Séka Hills ($12; 250 ml. ; sekahills.com) and CaliVirgin ($26/500 ml. ; calivirgin.com). You can also buy all three at markethallfoods.com, an Oakland, CA-based purveyor of fine foods. Our food editors rarely go for jarred sauces, but these zingy Mexican moles are an exception. For the cook who’s resolved to master a new cuisine, there’s the Bollywood Theater Indian Spice Set. 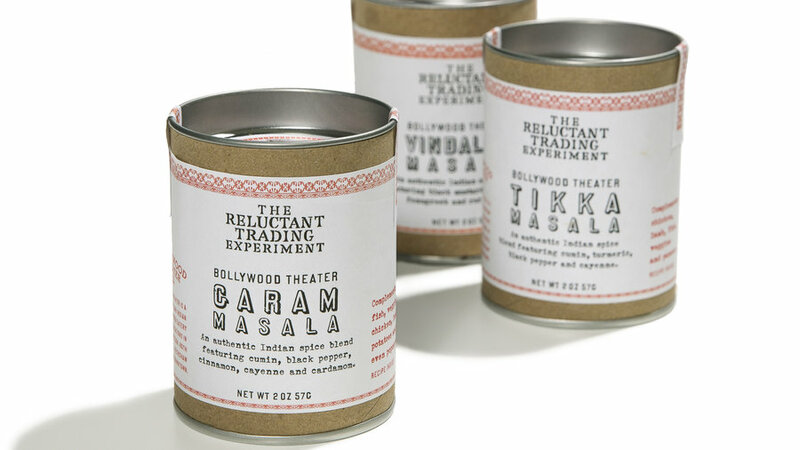 It comes with freshly ground garam masala, tikka masala, and vindaloo masala blends—and a recipe to make with each—from chef Troy Maclarty of the crazy-popular Portland Bollywood Theater restaurants. 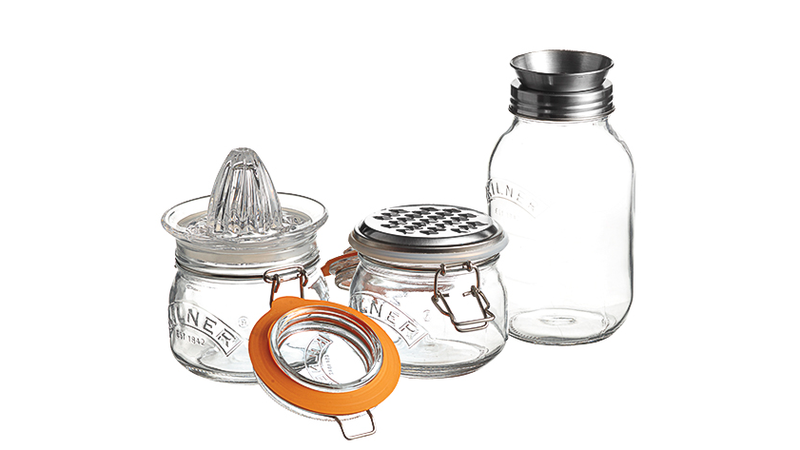 Go beyond the mason jar for your bulk storage and choose these canisters instead. 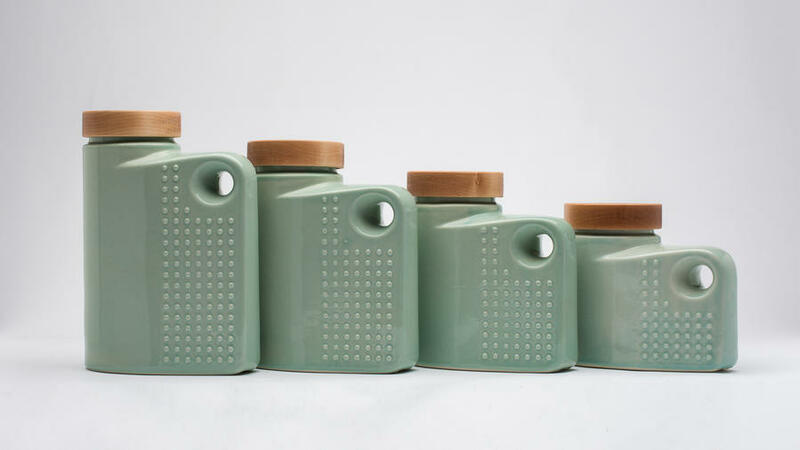 With four sizes in a set, they're made for storing a variety of dry items and look great nestled together. 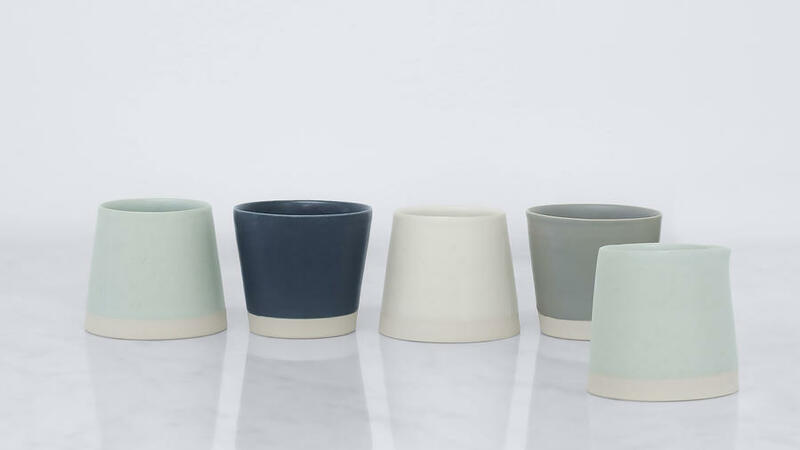 Small-space entertaining just got a whole lot easier. 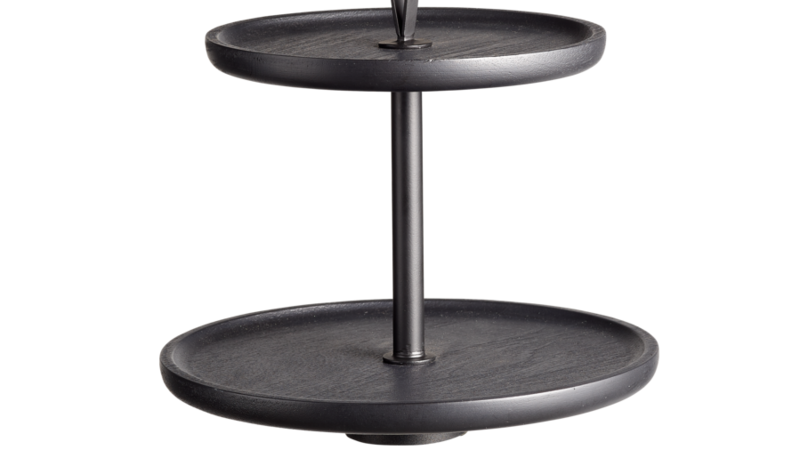 This mango wood and metal tiered serving tray comes apart for easy washing and storage. 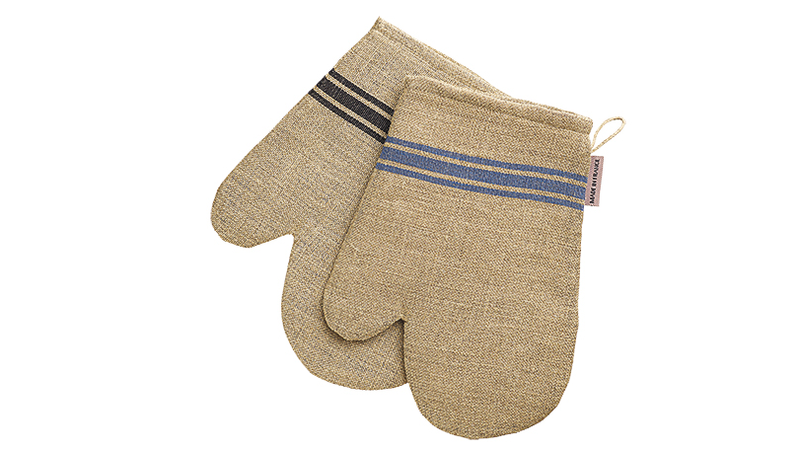 Pack it your giftee’s favorite canapés or sweets for the ultimate host(ess) gift. Since 1994, firefighter Lee Taylor has grown a legion of peppers in the Palo Alto fire station’s backyard. 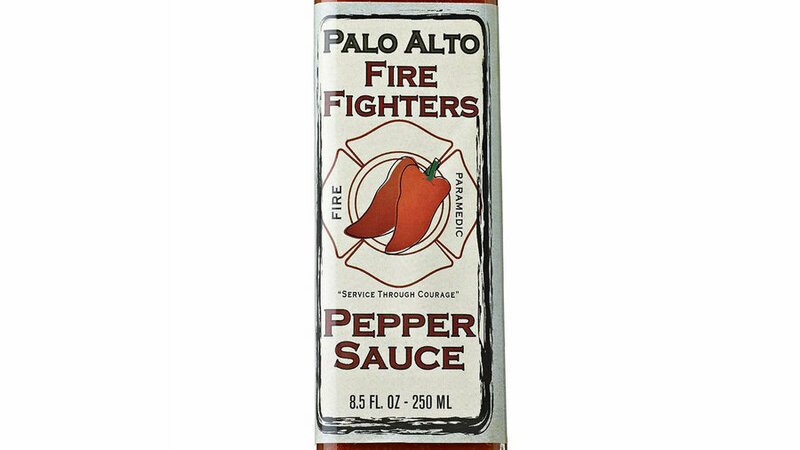 Our heroes who make this zesty sauce give all proceeds to the Palo Alto Firefighters Charitable Fund. It’s high time for a local alternative to the usual French aperitifs. 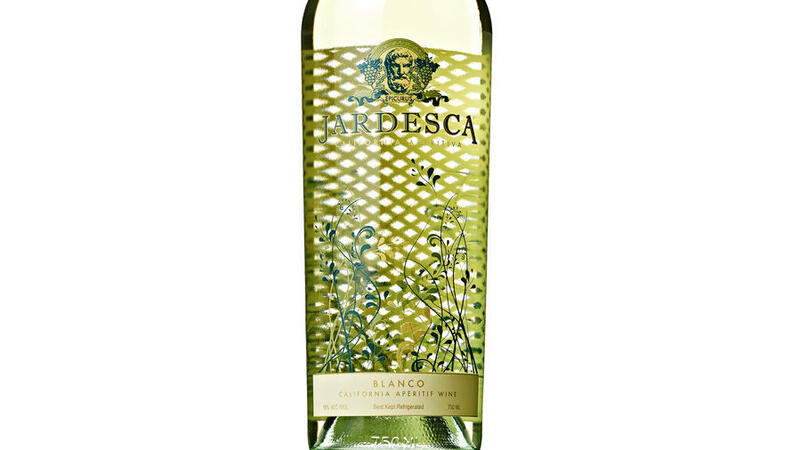 This well-balanced newcomer—made in Sonoma by San Francisco mix master Duggan McDonell—combines a white wine base with 10 locally sourced herbs. 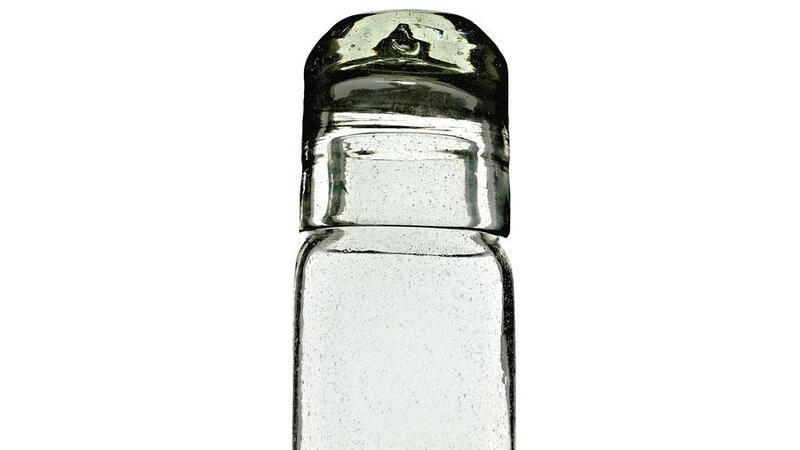 Use it in a cocktail, or drink it on its own, over ice. 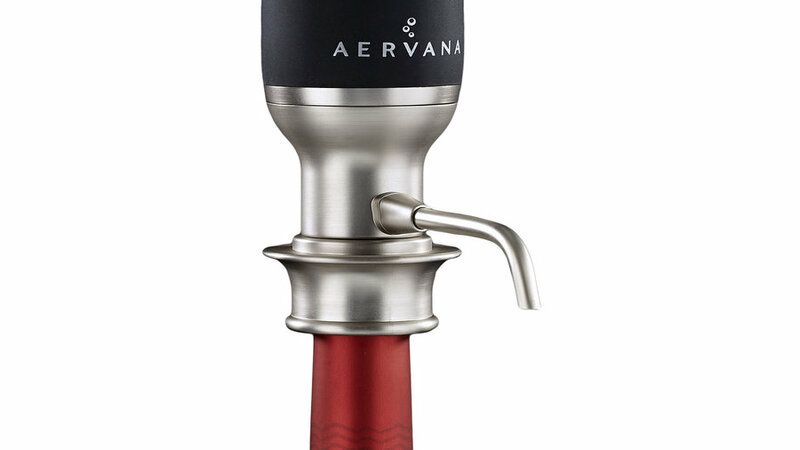 We’re not fans of fussy wine gadgets at Sunset, but a simple aerator—a device that quickly introduces oxygen into wine—can soften harsh tannins and release aromas in young vintages, to make a glass of wine markedly more enjoyable without the time lapse of a traditional decanter. Our newest favorite—Aervana—is the first electric version. After quick assembly of batteries and tube, you can just hold your glass under the spigot, push the button, and a stream of wine burbles out. In blind taste tests in the halls of Sunset (our wine: muscular, age-worthy, beautiful Mt. Veeder Cabernet from Napa Valley), the staff got it right every time, identifying the glass that had been aerated. Great bottles of wine can present owners with a dilemma—when you open them, you have to drink the entire bottle within a couple of days to avoid the leftovers oxidizing. But what if you’re dying to taste that 2007 Silver Oak, but your husband is off with the kids, and it’s only you? 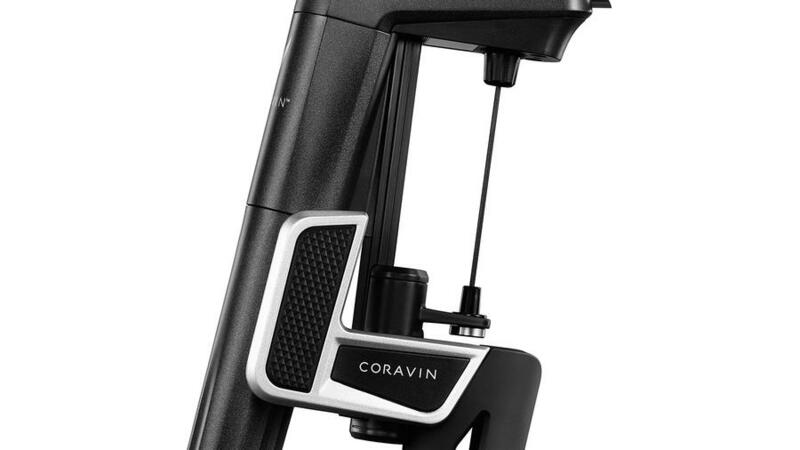 Go ahead—with the Coravin system. 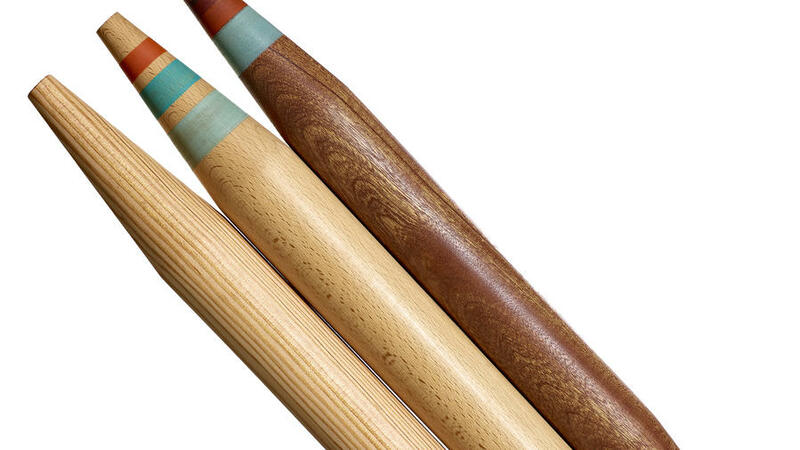 Model Two is a sleek device that lets you insert a thin needle through the cork (without pulling it), and pour as much as you want. 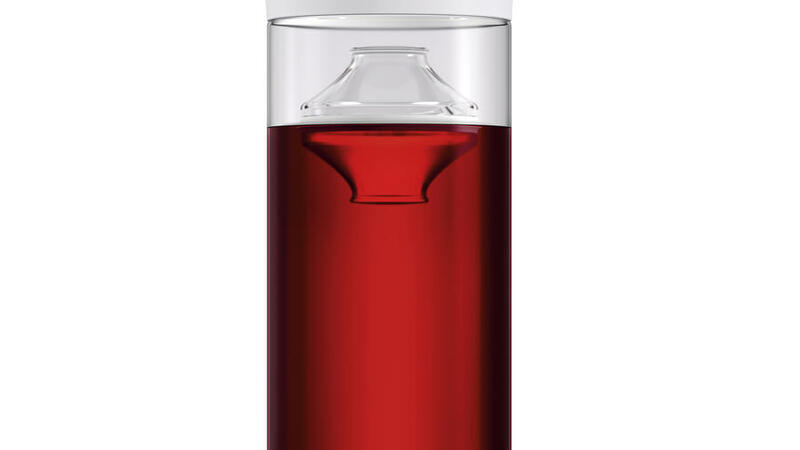 An inert gas from a small canister shoots in to replace what you’ve poured, preserving the wine from oxygen and keeping it sound for months to come. You can still share with your husband. 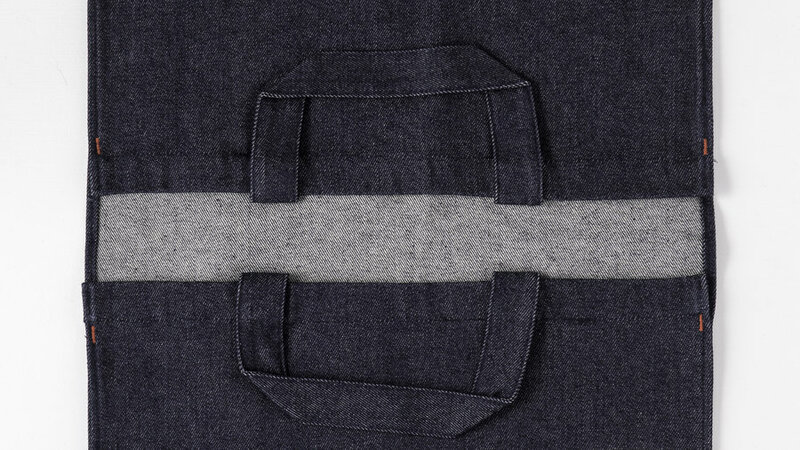 A rugged yet minimalist 64-oz. 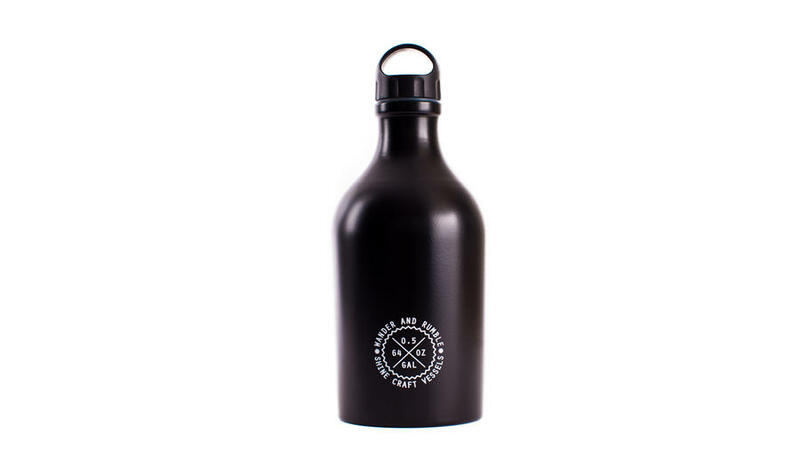 growler made from restaurant-grade stainless steel. 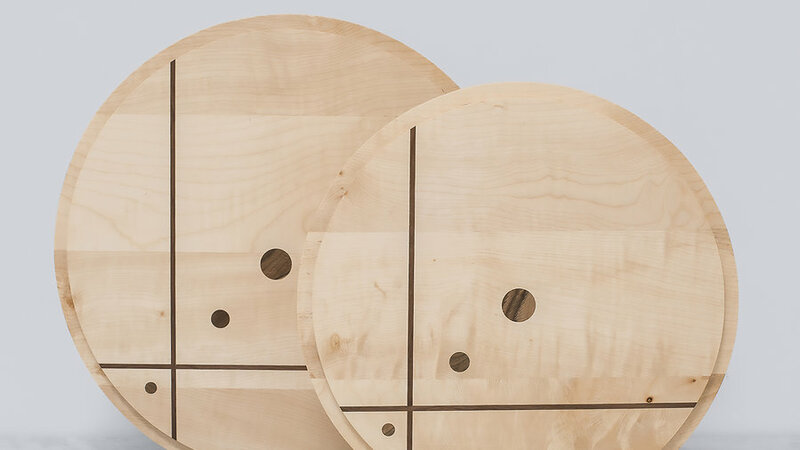 Designed and assembled in California. Whether it's a Moscow Mule, Old Fashioned, or Gin & Tonic, these nifty cocktail kits are made for first-class travelers, even if they're sitting in coach. Sure, one could simply grind some star anise or chop some Thai chile or tarragon and toss it in one’s drink. 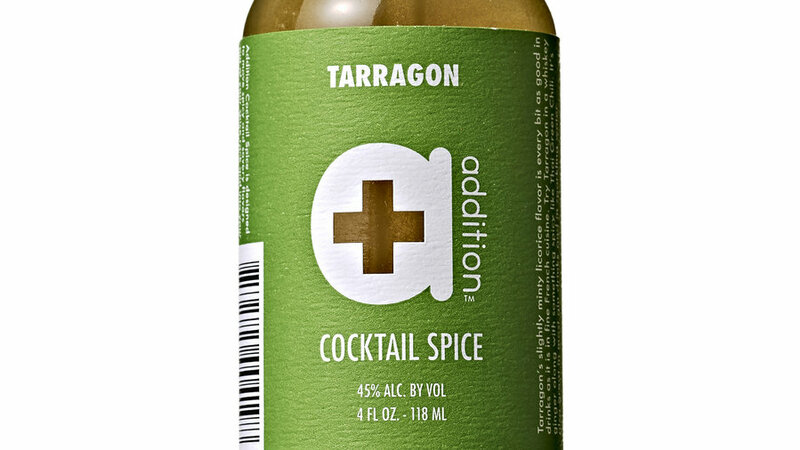 But Addition, a Seattle-based line of tinctures, lets the home bartender flavor a cocktail with exactitude, medicine dropper and all. 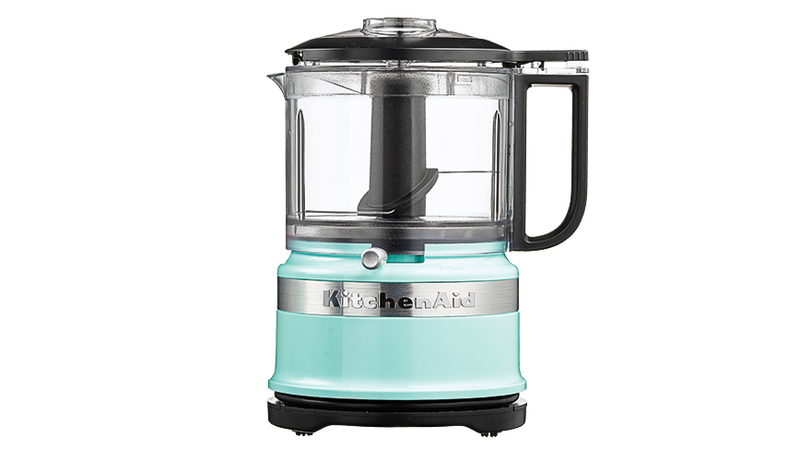 The 25 flavors range from tarragon to horseradish to “filthy dirty”—for martinis, of course. 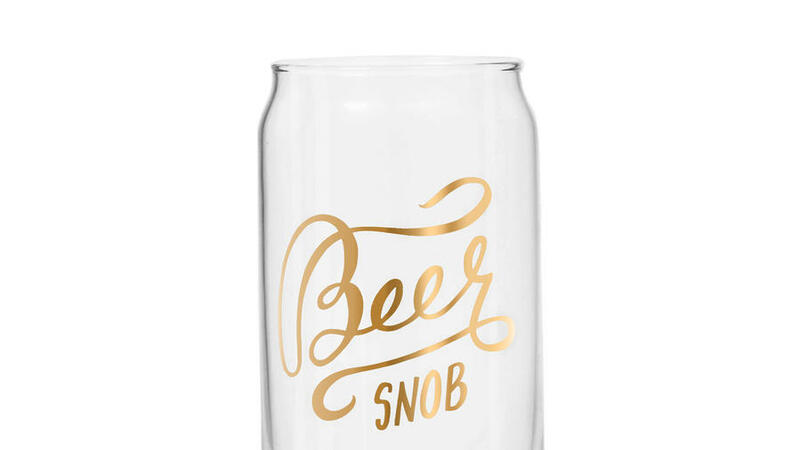 This tasteful glass is fit for a microbrew or classy domestic—and yes, the script is real gold. 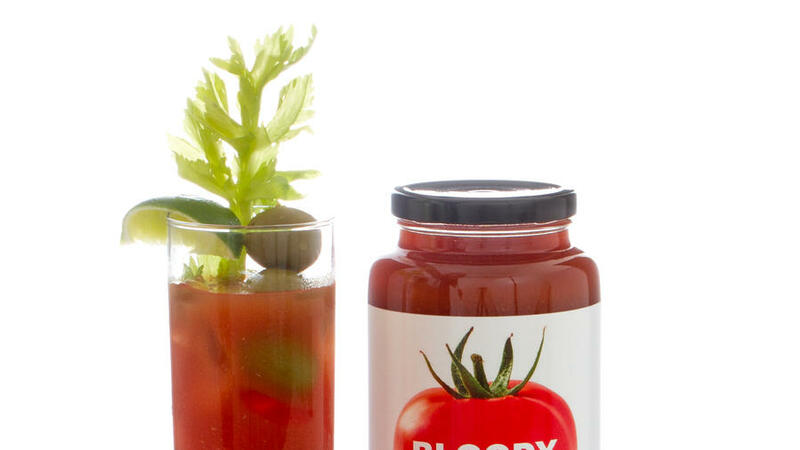 Keep the vodka and ice ready when they open this delicious stocking stuffer. 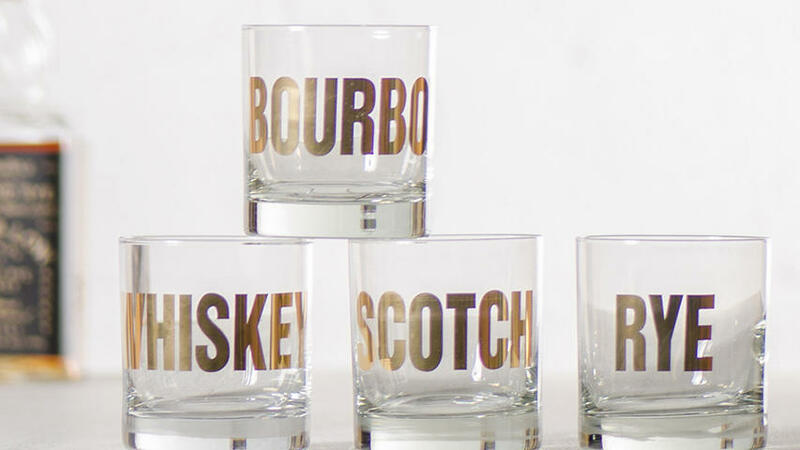 In hand or on the self, these mirrored 20k gold rock glasses will make a handsome statement on any bar shelf. 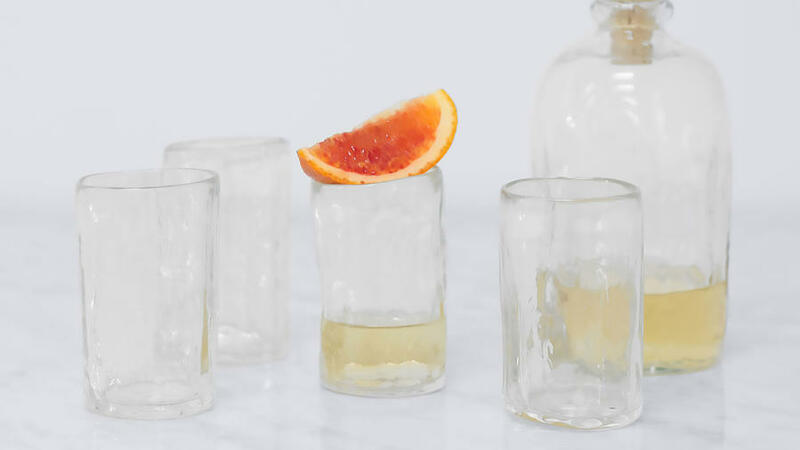 It’s time to let go of the mismatched barware and chipped cups. 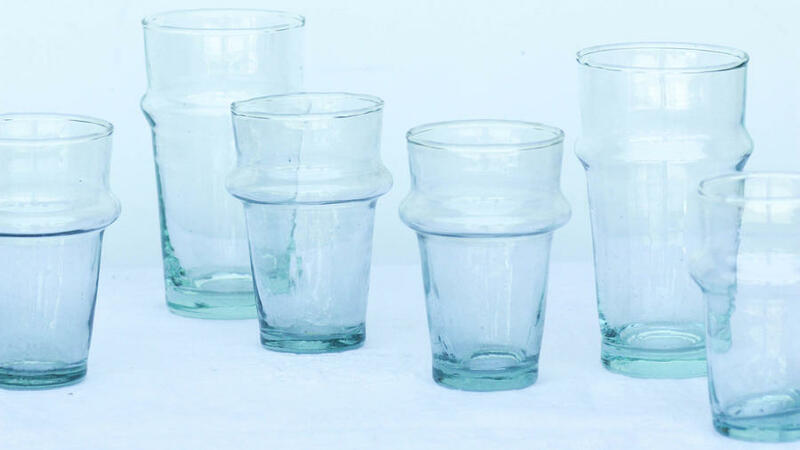 These crinkle-cut glasses are made from durable glass that is highly resistant to breaking and scratches so you don’t have to keep them under lock and key just for company. 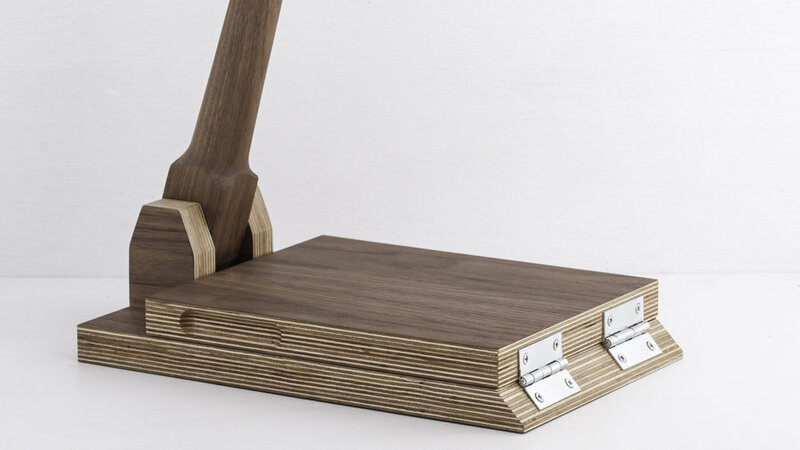 This James Bond-worthy shaker deserves a prime spot on the cocktail cart. 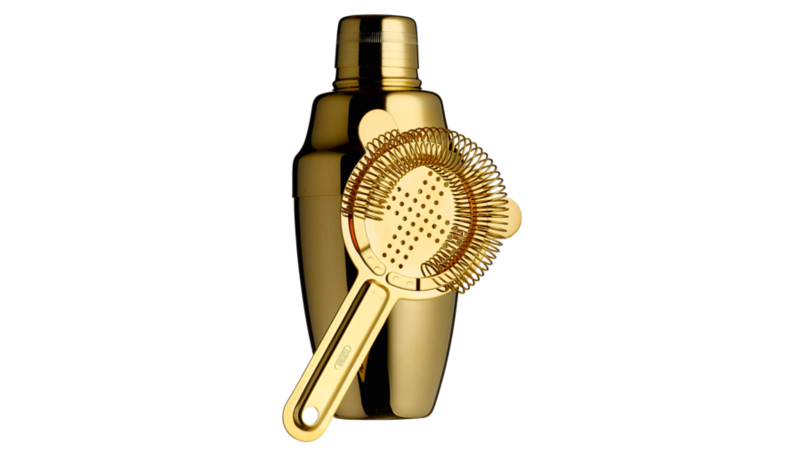 Made in Japan, the high-style stainless steel tool is plated in 24K gold for unbeatable shine and bullet-proof drinks. 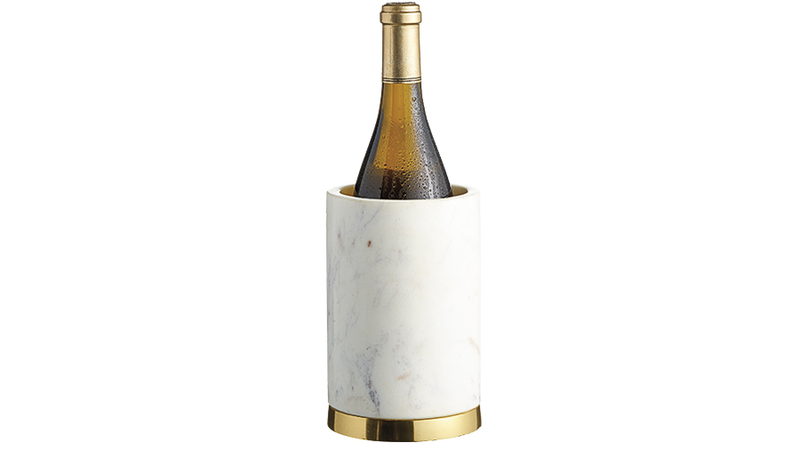 Chill wine in no time with this eye-catching marble wine chiller. A quick dip in the freezer is all it needs to keep whites ready for sipping all night. 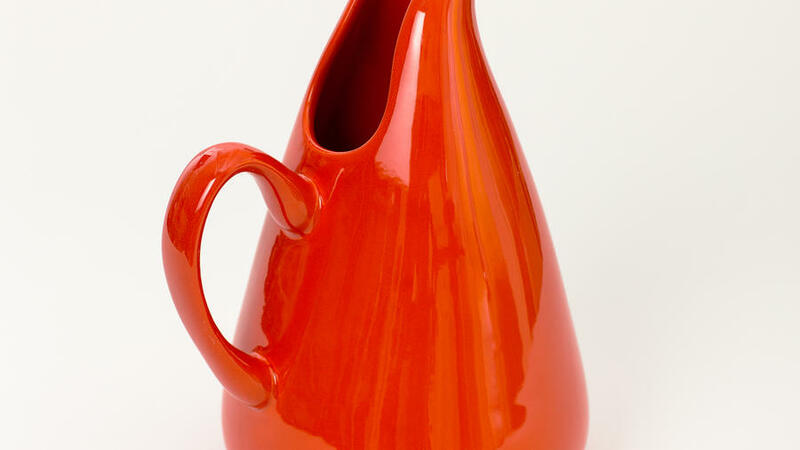 Upgrade your dinner table with this sleek, sculpted pitcher. 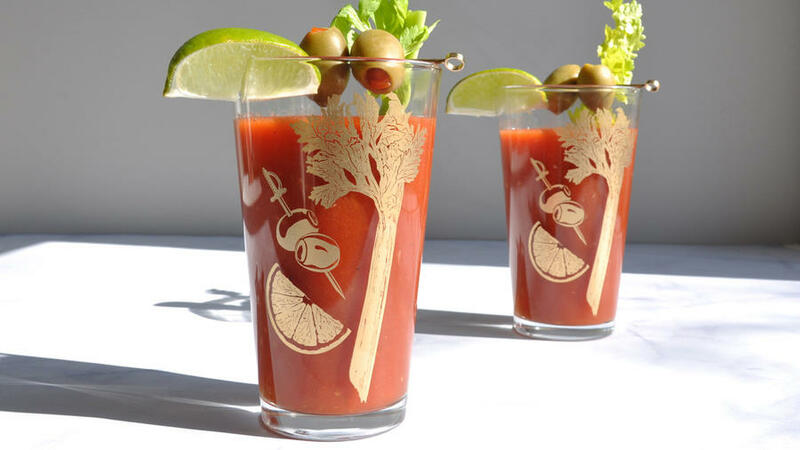 It's a great size for hosting your garden's blossoms or pouring drinks for guests. 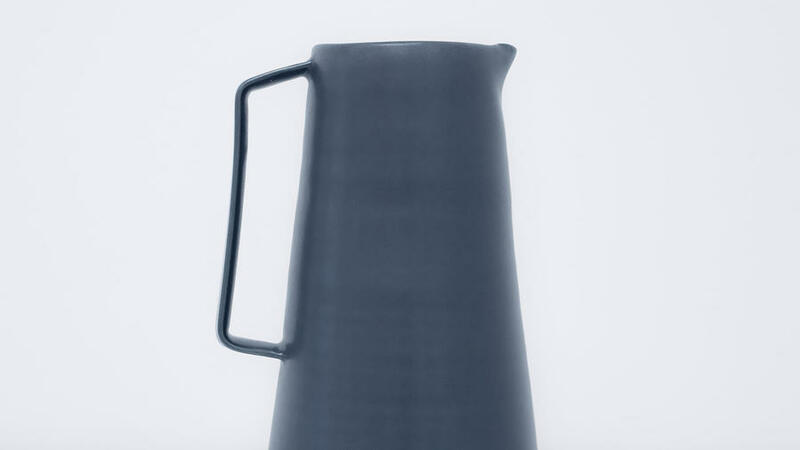 Pitcher perfect: the reissued iconic vessel created by Russel Wright, who brought modern design to the masses. 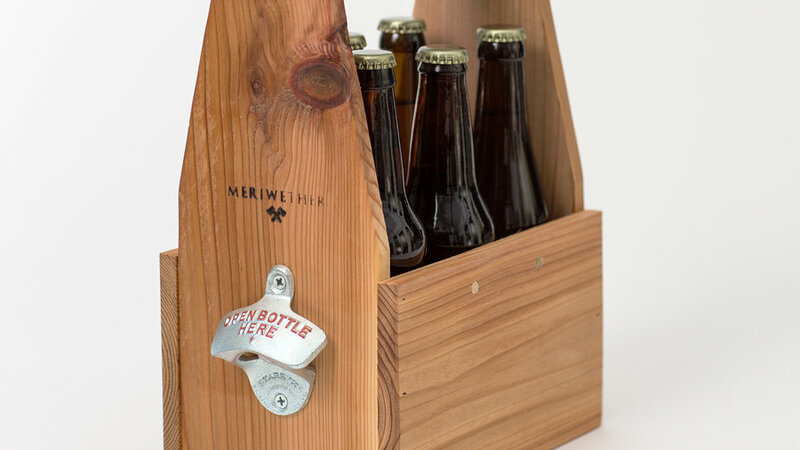 Perfect to share a home brew, this customizable Western red cedar beer caddy can also step up even the most basic six-pack. 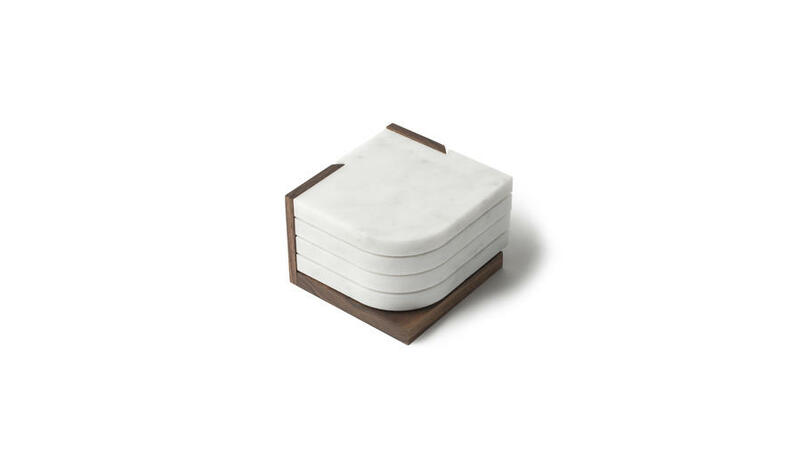 These marble coasters can morph from four individual units for coffee into one large trivet for a hot dish. 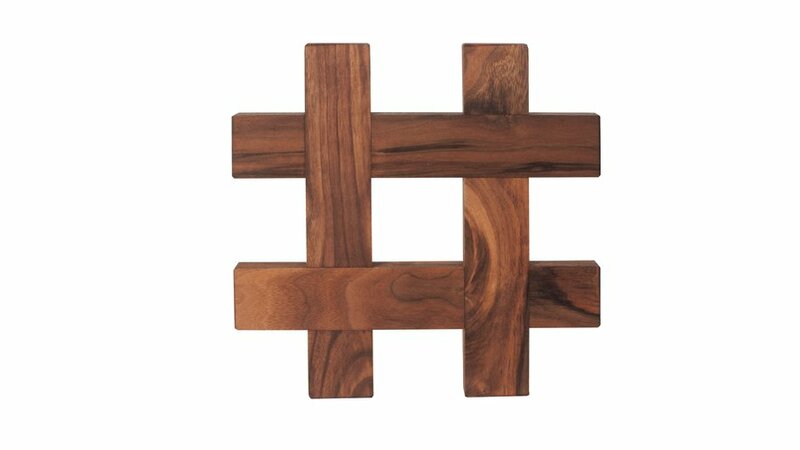 This gracefully modern trivet looks great whether it's supporting your favorite Dutch oven or acting as a finishing touch to the table. 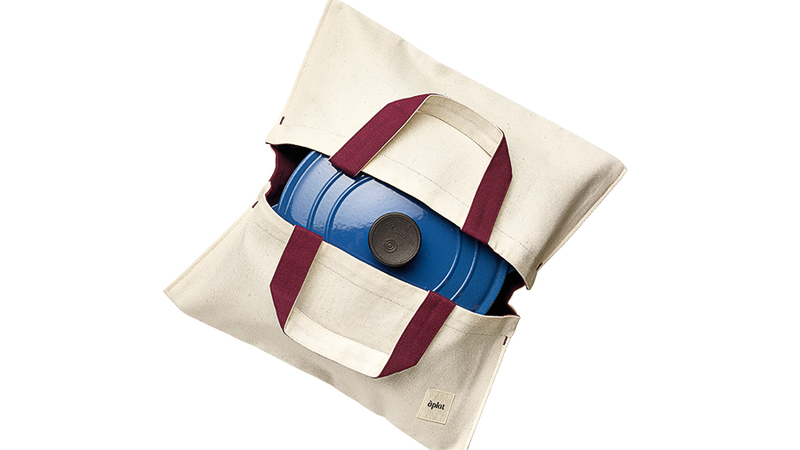 Make attending your next potluck super-smooth by porting your dish in this denim casserole carrier. In and around Santa Maria, California, barbecuing beef over a fire of red oak logs has been a way of life since rancho days. Nowadays, the grill of choice—appropriately called a Santa Maria grill—can be raised and lowered so the meat sits just the right distance from the flames. But the models typically used in parking lots around town to serve crowds are a good 20 feet long. 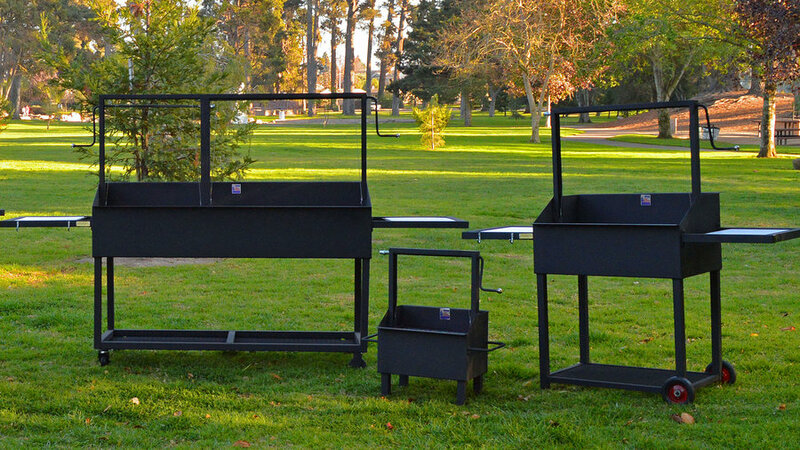 For the home cook, Santa Maria Grills makes a range of smaller backyard bbqs that work just the same way. Chile jelly can be wimpy, way too sweet, or both. But Ojai Jelly gets the balance just right. 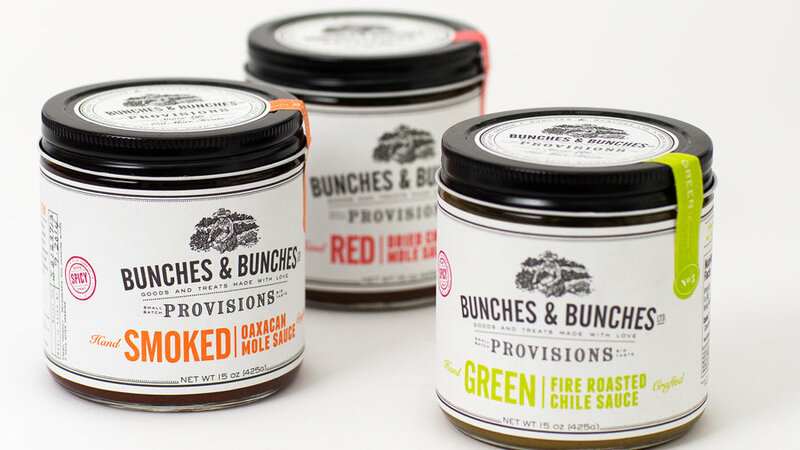 The Southern California company cooks up small batches, and leaves some chopped chiles in the jar for texture, medium heat, and fresh flavor. 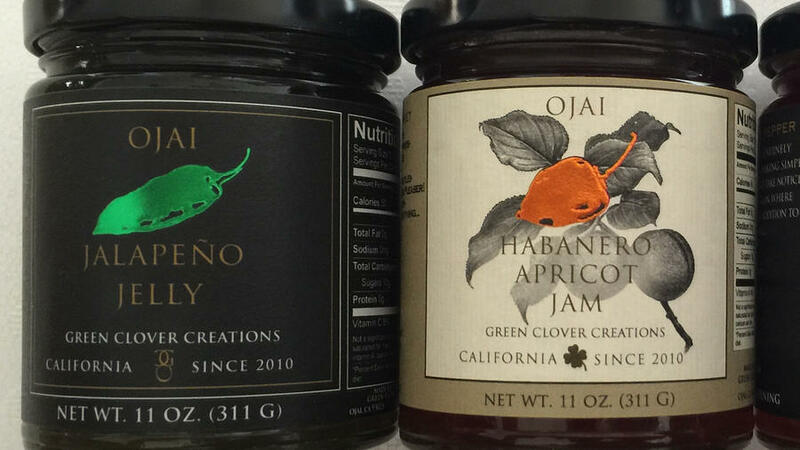 Choose from jalapeño jelly, habanero jelly, and habanero apricot jam. Imagine the favorite campfire treat with a deluxe makeover and a holiday flavor spin. 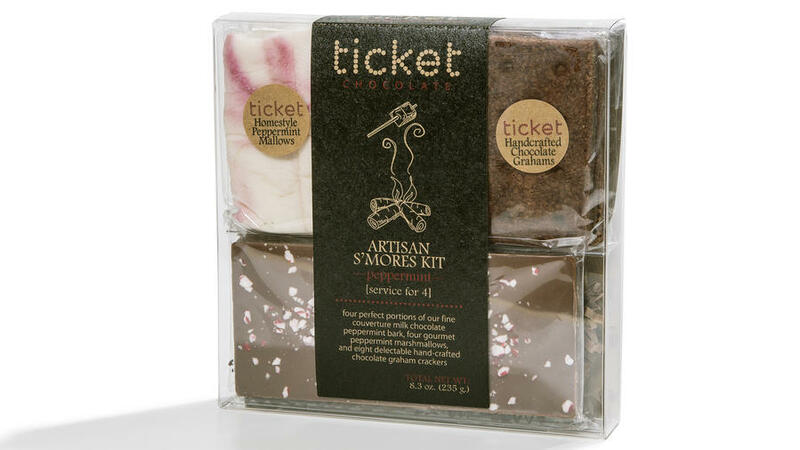 The peppermint version of the Ticket Artisan S’mores Kit includes four handcrafted chocolate grahams, peppermint-streaked marshmallows, and fine-quality milk chocolate bars coated with crushed peppermint candy. Not feeling minty? Go for the classic kit, with honey grahams, vanilla marshmallows, and plain milk chocolate. 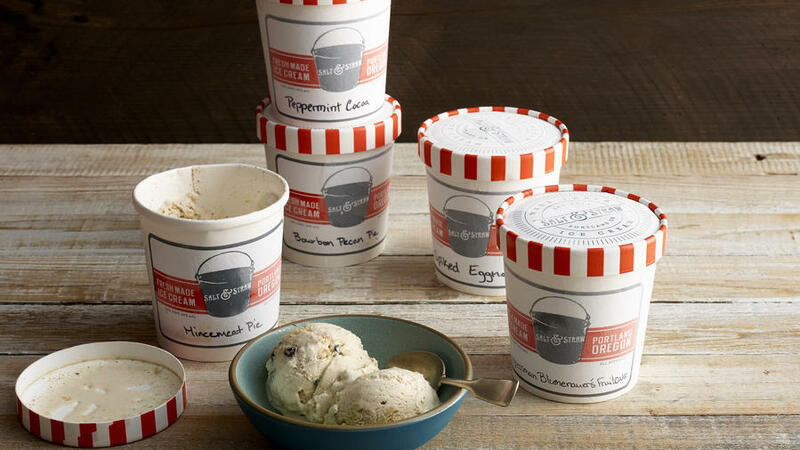 There’s no wrong time for ice cream, but December is especially good, thanks to Portland ice cream maven Salt & Straw’s decadent holiday ice cream assortment. 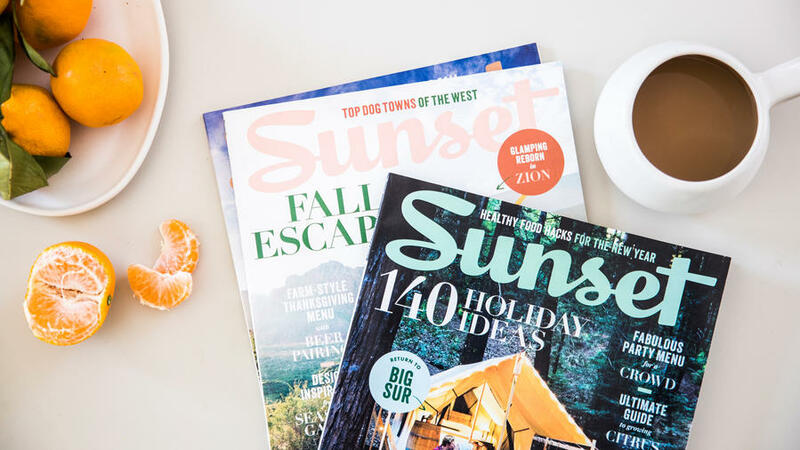 Available at their shops in Portland, L.A., and San Francisco, as well as by mail, it features a hometown lineup that does Oregon proud. Local mint and booze (plus recipes from a local mixologist and a politician) go into Peppermint Cocoa, Bourbon Pecan Pie, Spiked Eggnog, Mincemeat Pie, and Congressman Blumenauer’s Fruit Cake. 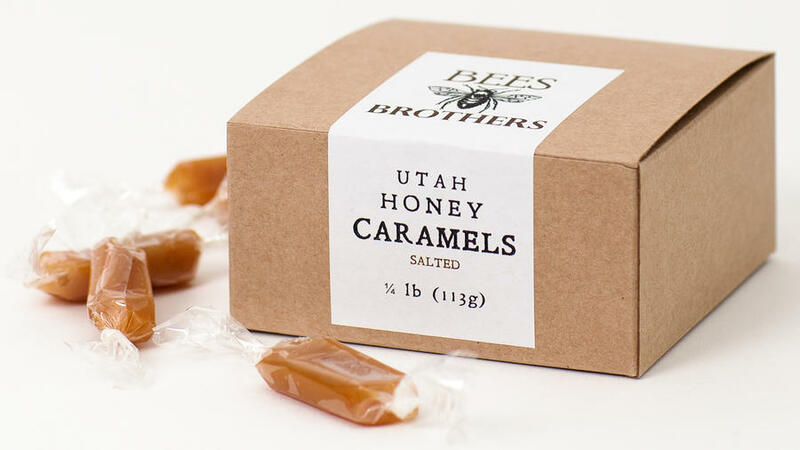 Made with raw honey by a beekeeping family in Utah, these slightly chewy caramels have a warm, deep sweetness. 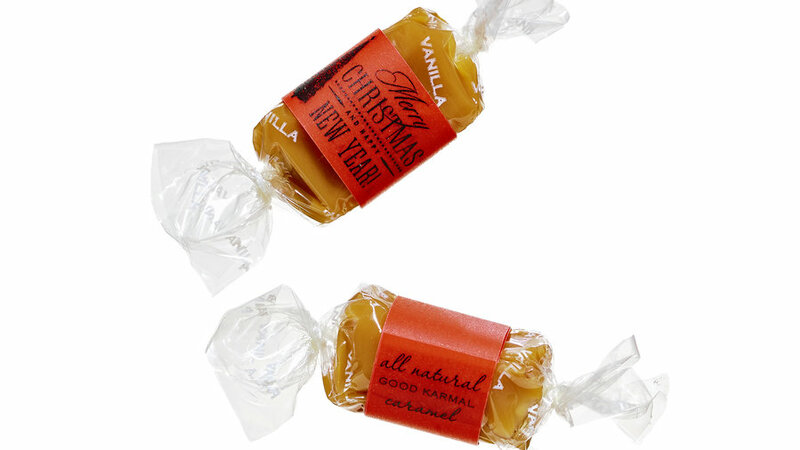 We’re big believers in buttery caramels, and these Montana-made sweets are the creamiest of them all. 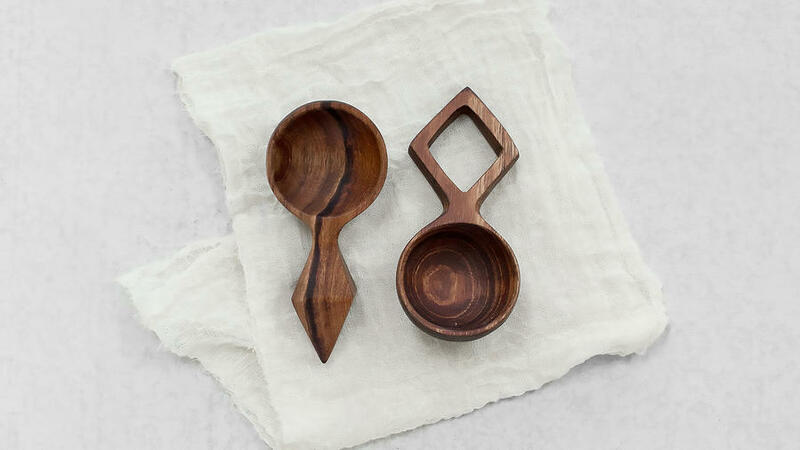 The best part: Your purchase could help such environmental charities as The Nature Conservancy and Arbor Day Foundation keep the West—and the rest of the planet—beautiful. Designed for the connoisseur who appreciates chocolate with intense yet nuanced flavors, the Dandelion Chocolate Wrapped Gift Set includes three single-origin bars from different parts of the world. 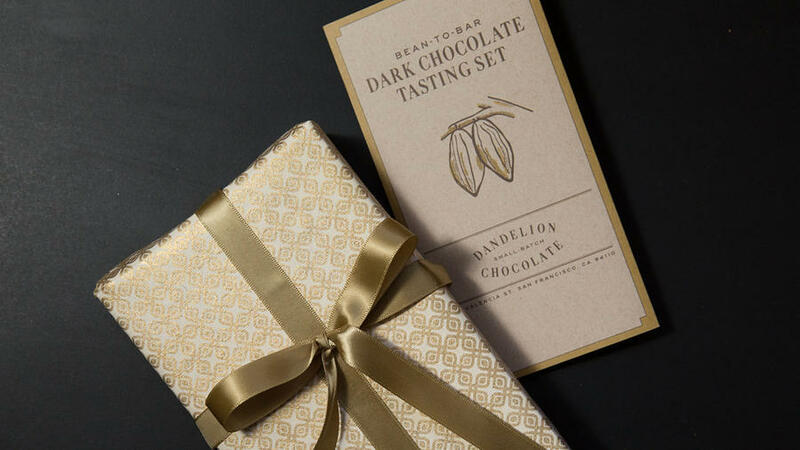 The boutique San Francisco bean-to-bar factory packages the chocolate with care, too; they include a tasting guide and wrap the bars in hand-made, silk-screened paper. Where have all the penny-candy counters gone? 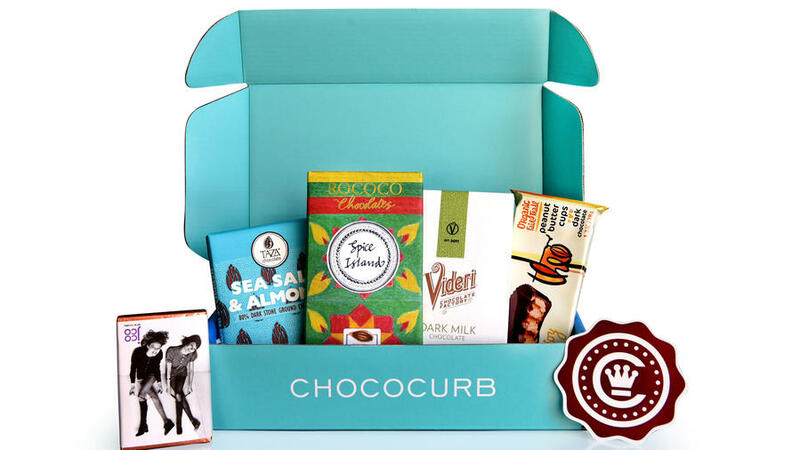 Never fear—now giving classic candies is as easy as sending an email. 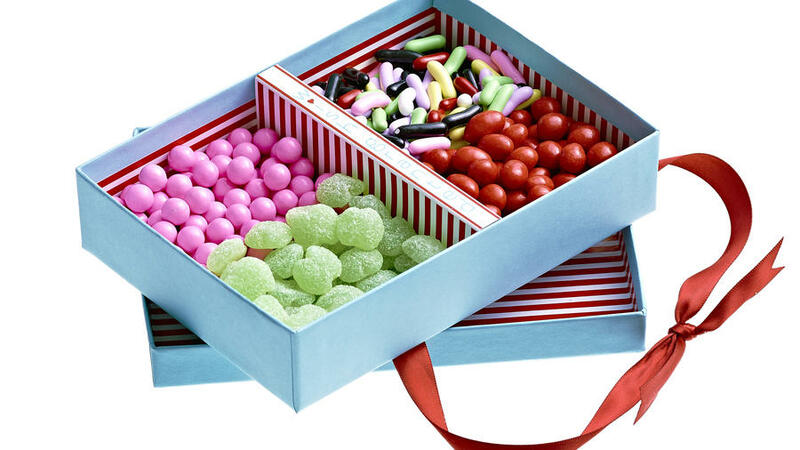 You pick the size of the box and hit “send,” your beloved chooses the actual assortment (shown here, clockwise from top, licorice pastels, Boston Baked Beans, Sour Patch apples, pink Sixlets), and Denver-based Sugarwish takes it from there. Whether or not you avoid gluten, you’ll want to dive into the gluten-free holiday assortment from Cookies con Amore. 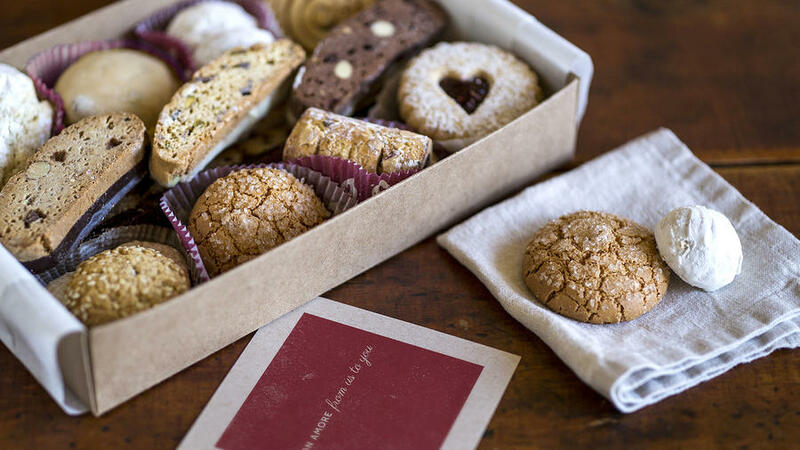 The Vista, California company packs 9 classic Italian cookies into the box, including crisp biscottini, chewy amaretti, snowy powdered-sugar coated wedding cookies, orange and almond ricciarelli, raspberry jam-filled polentine, and dried fruit and chocolate-filled cuccidati. You’ve never given an edible gift quite like this. Real Oyster Cult sends farm-fresh oysters overnight so they’re ready to be shucked and enjoyed at their best. Choose from some of the best oysters the Pacific and Atlantic have to offer, like Kusshi from Baynes Sound, B.C. and White Cap from Cape Cod Bay, MA. 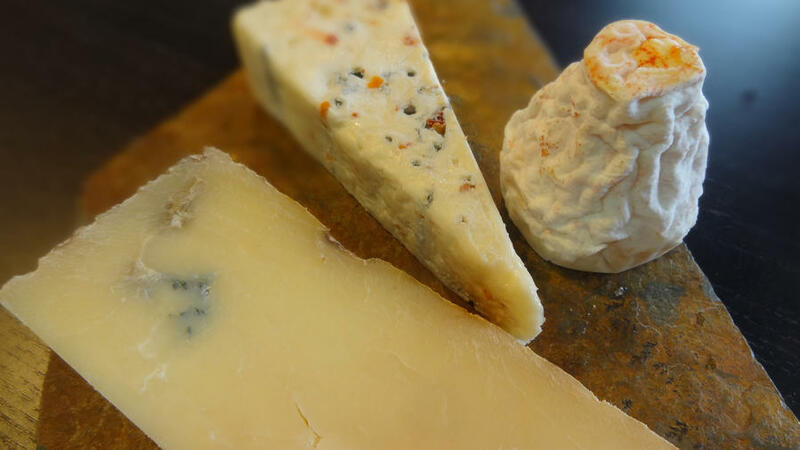 The next best thing to living in California’s Mendocino County is eating like you live there ... which means terrific cheeses from Pennyroyal Farm. 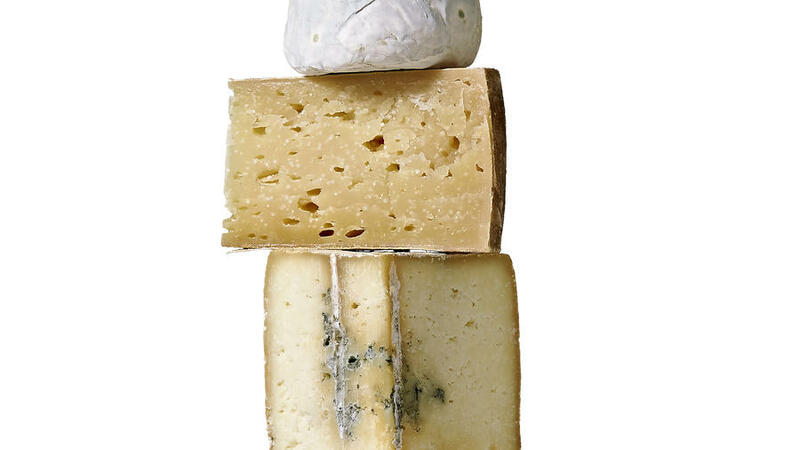 Varieties include Boont Corners 2 Month Tomme, Bollie’s Mollies, Velvet Sister, and Laychee chèvre. 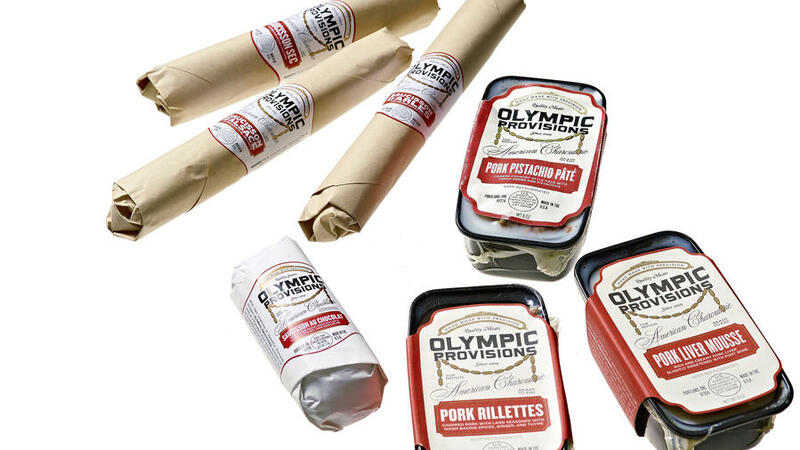 Funny thing: Soon after this wooden crate arrived from Olympia (formerly Olympic) Provisions, and its contents were photographed, they vanished, never to be seen again. No one admitted anything, but the faint aroma of saucisson sec (garlic and black pepper), saucisson d’Alsace (baking spices), and pork pistachio pâté could be detected near our photo studio, and one of our photo editors looked suspiciously content. Any wine lover on your holiday list (yourself included!) is sure to appreciate a one-of-a-kind half case, including award winners recognized for their outstanding quality by Wine Enthusiast, Wine Spectator, Wine & Spirits and other wine authorities. 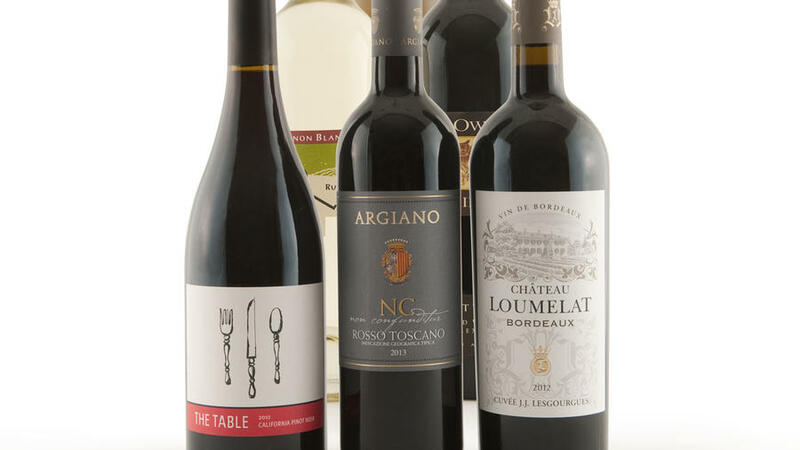 Featuring multiple fine wines rated upwards of 90 points from the world’s foremost wine regions, including Napa, Tuscany and Bordeaux, half cases available exclusively from Firstleaf at a price that’s also a gift! 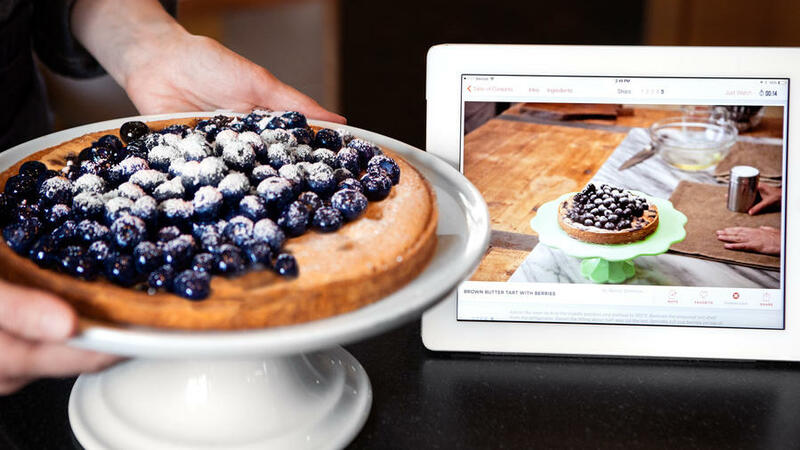 Give the gift of cooking mastery through a subscription to Panna, which features delicious recipes and how-to videos with fantastic chefs. Some very tasty gift options: Members of the Venissimo Cheese Lovers Club receive three cheeses a month from the San Diego shop, along with just the right accoutrement—say, the perfect cracker. 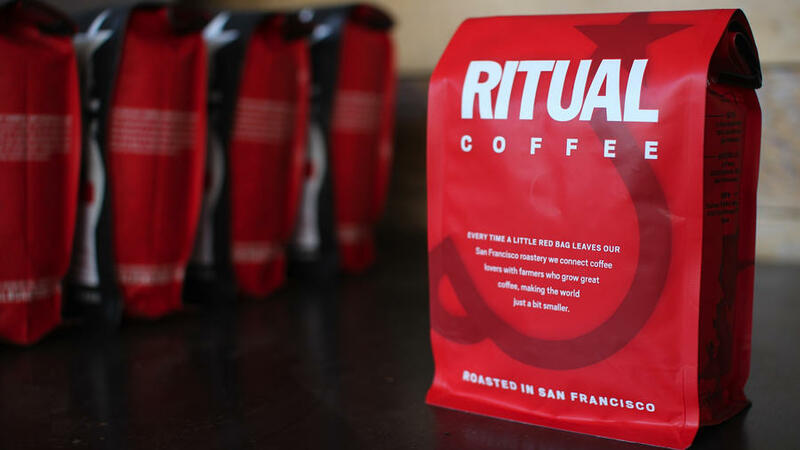 A San Francisco fave, Ritual Coffee Roasters delivers the caffeine—12 ounces of special seasonal blends—without the crowds. Finally, the perfect present for the serial coffee monogamist in your life. You know who we mean: She’s always trying the most-talked-about (or, alternatively, most obscure) beans around. 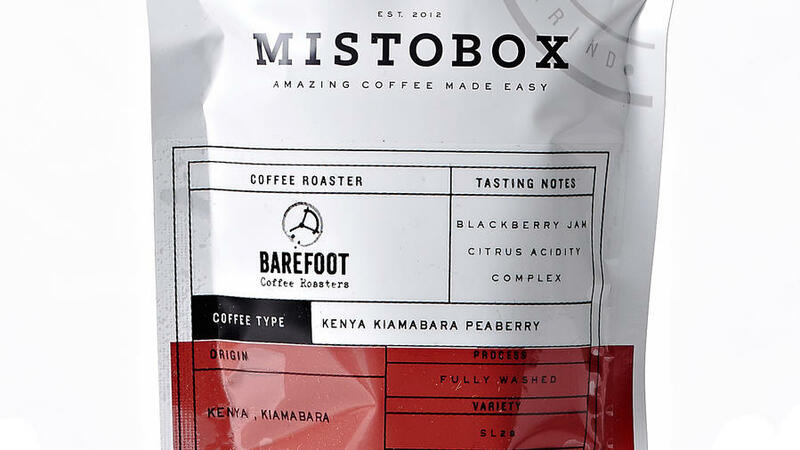 The Bay Area–based company Mistobox sends regular care packages containing coffee from four different under-the-radar roasters from around the country—think Ristretto, from Portland, instead of Stumptown.